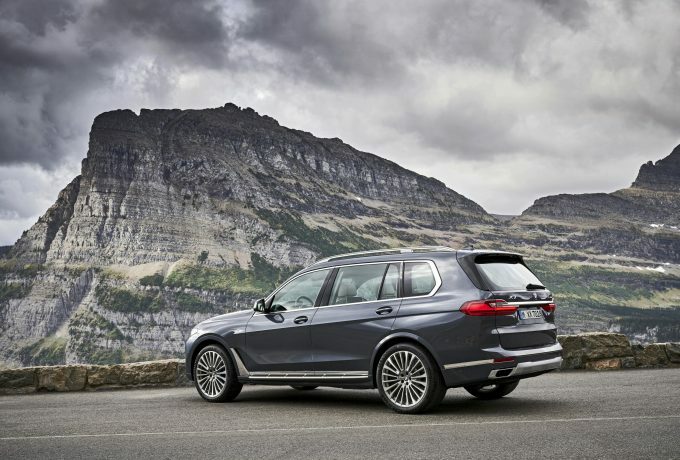 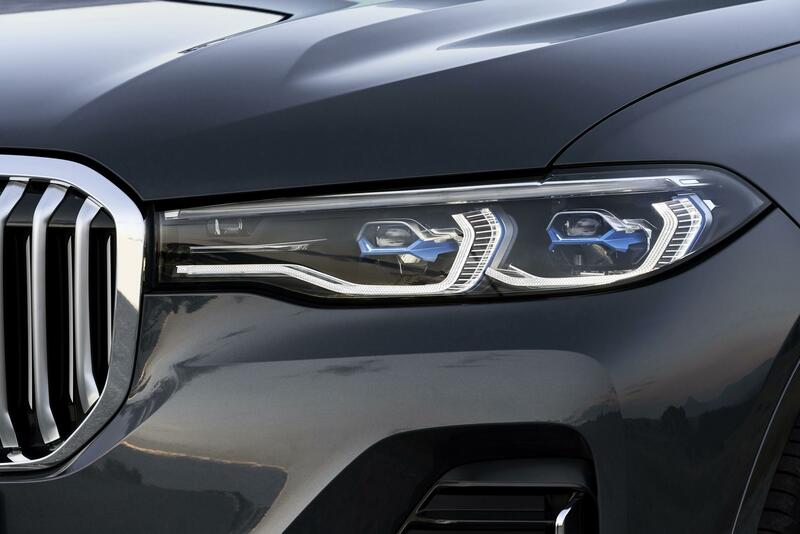 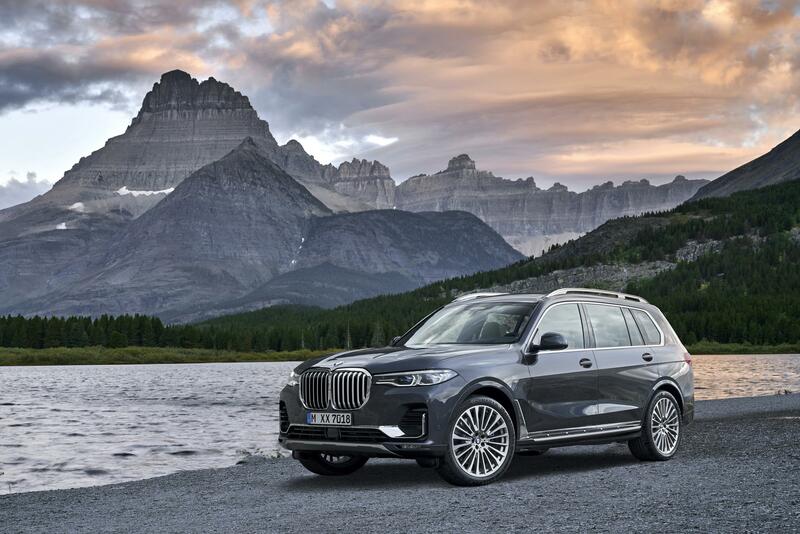 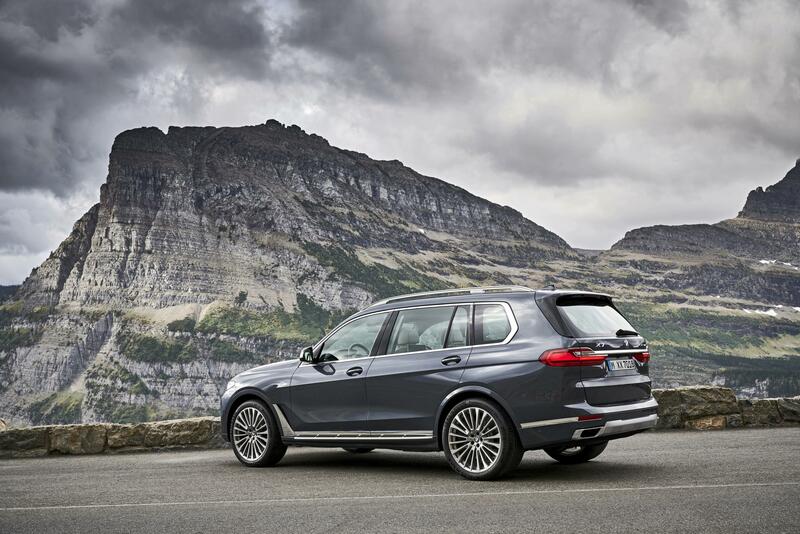 BMW have announced the X7, a large SUV with three rows to seat seven adults in comfort. 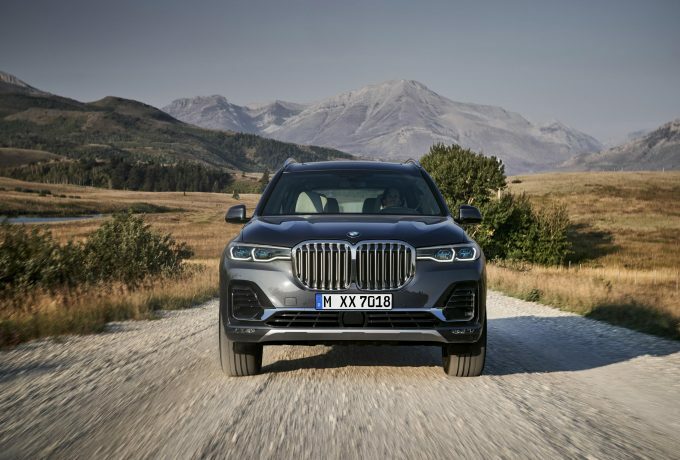 At launch, the large SUV will be offered with three turbocharged six-cylinder powertrains – one petrol and two diesels. 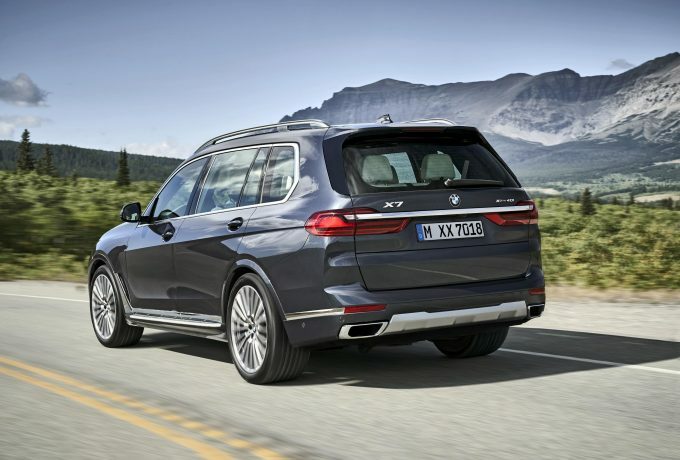 The petroleum variant (xDrive40i) poses 340bhp and 332lbf.ft, 32.5mpg on a combined cycle 198g/km. 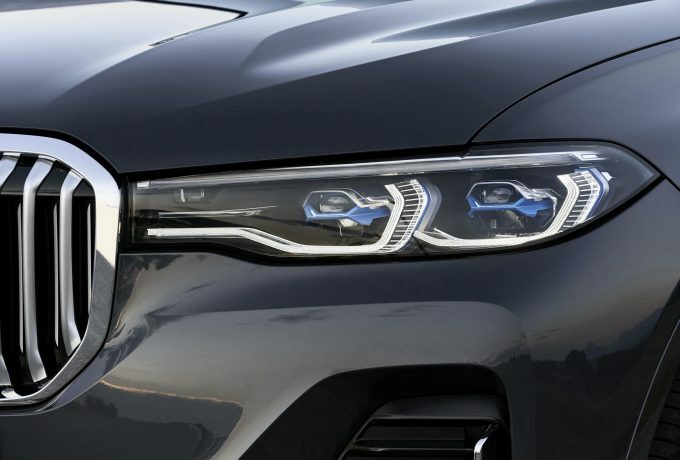 The xDrive30d offers 265bhp, 457lbf.ft and 43.5mpg and 171g/km compared to the M50d’s 400bhp, 560lbf.ft, 40.4mpg and 185g/km. The all-wheel drive models feature the latest xDrive system, and the M50d is fitted with an M Sport differentia – which is also part of the off-road package. A double wishbone setup at the front combines with a five-link rear axle and both feature air suspension with self-levelling as standard. 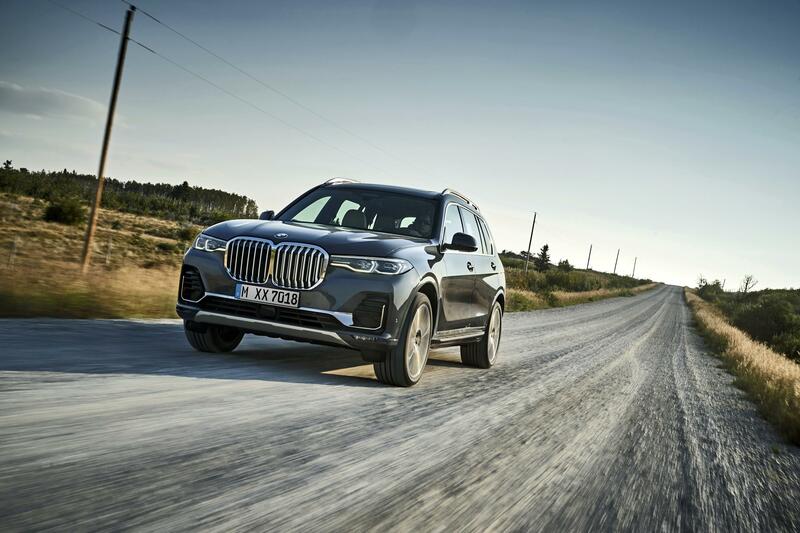 When sport mode is engaged on the M50d or its speed exceeds 86mph – which it obviously won’t, ever… – the ride height is automatically lowered by 20mm. 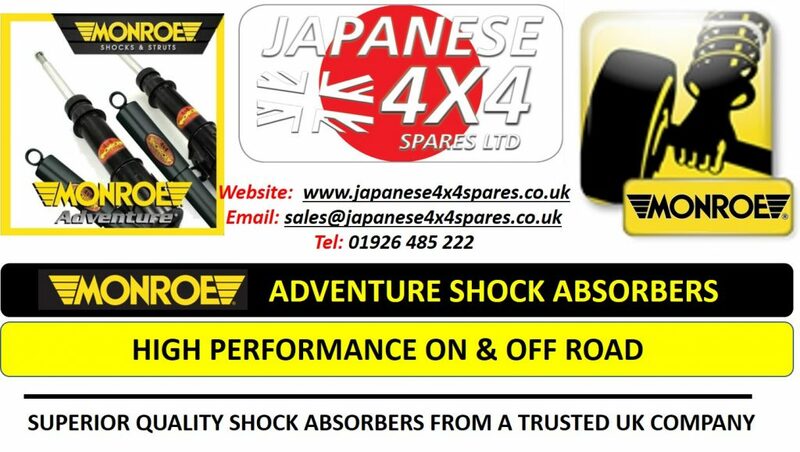 There is also room to raise the ride height in two stages by up to 40mm over the standard stance. 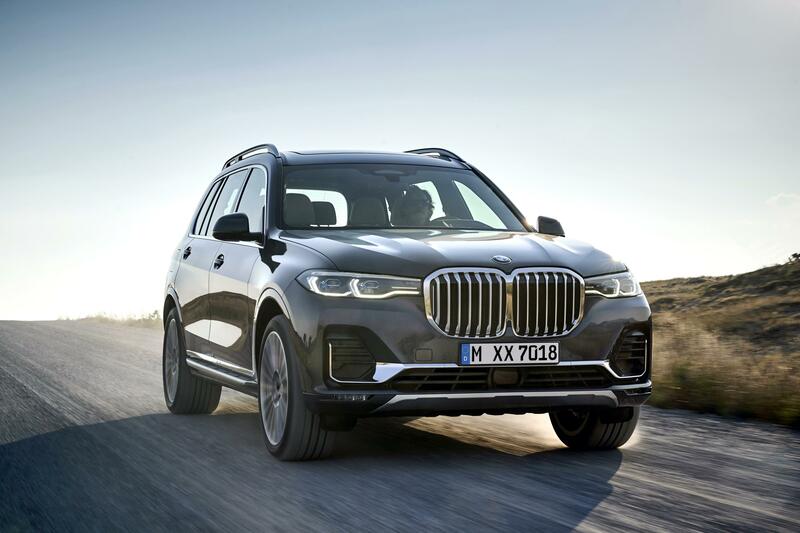 The off-road package also adds the choice of four drive modes – xSnow, xSand, xGravel and xRocks – each time adjusting the setup to keep the X7 xSurefooted when xOff-Roading. The rear doors are longer than the obverse pair, enhancing the ease with which occupants clamber into the second and third rows of seating. Once inside, the pair in the third row have full-size seats, with their leg room controlled by the positioning of those in the middle row. 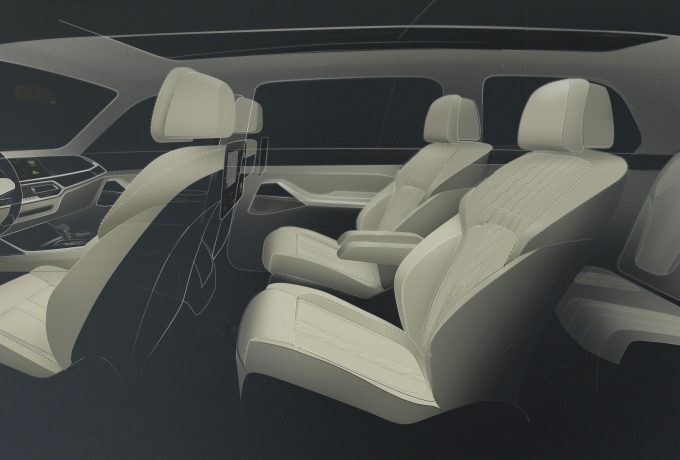 An option to have three rows of two-abreast is offered, and will equip the mid row the same armrests as those in the front. 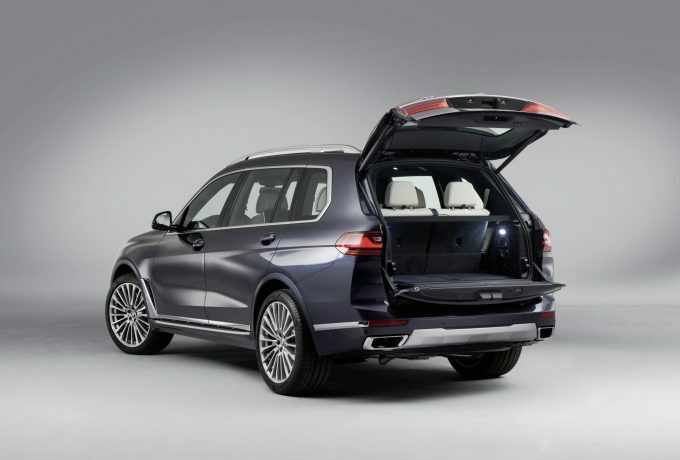 Both the second and third rows can be flattened, which would increase the boot capacity from 326 all the way up to 2,120-litres. 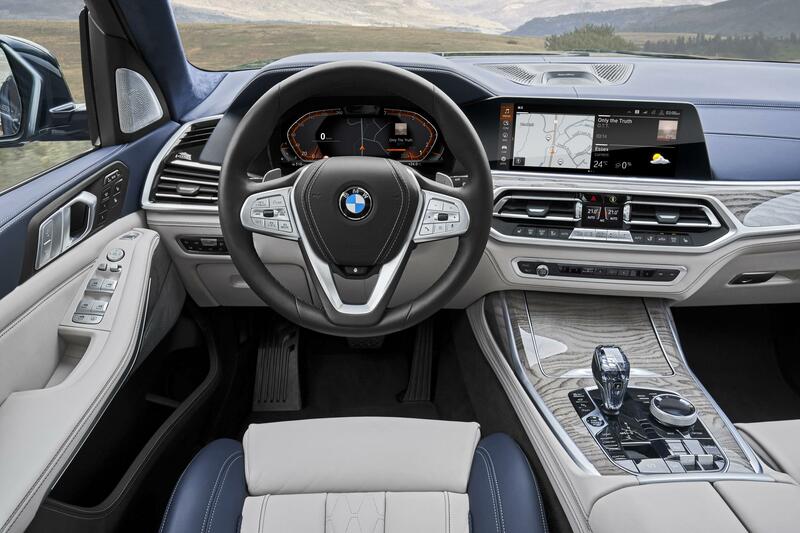 X7 drivers will be subject to a newly designed digital binnacle via a 12.3-inch screen, and a leather steering wheel comes as standard. 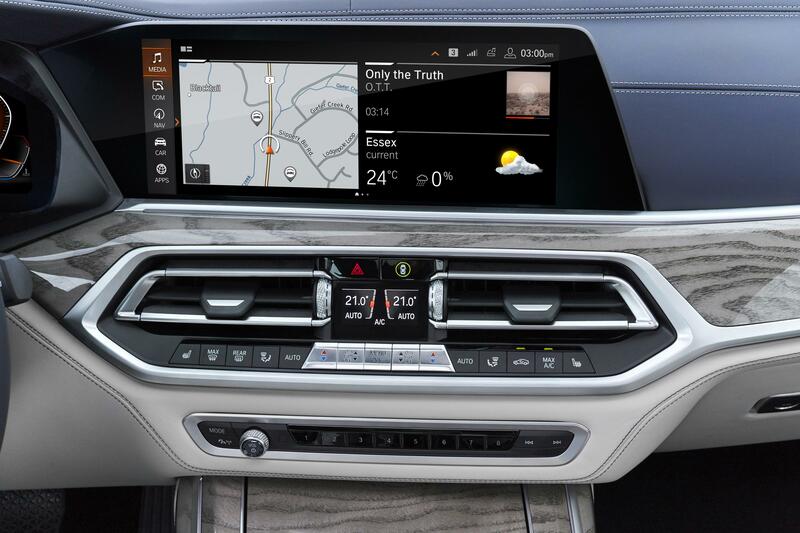 The centre console plays home to a newly designed gear selector plus the iDrive controller, electronic parking brake, all drive mode buttons and the start/stop button. 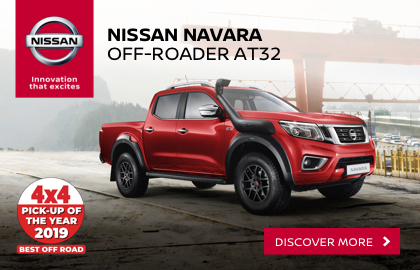 Aids included for the driver are a rear-view camera, 360-degree birds-eye view. Safety features including stop-start adaptive cruise control, pedestrian warning, city braking, collision warning, crossing traffic warning and lane keep assist – but these are part of the optional Driving Assistant Professional pack. 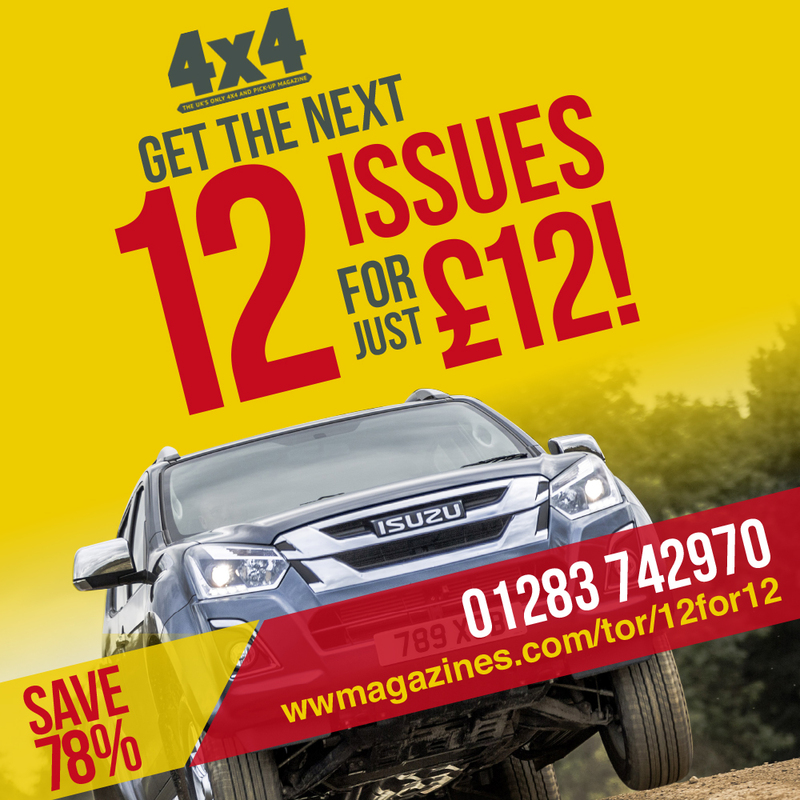 The X7 goes on sale in April of next year, and prices will begin at £72,155 OTR.